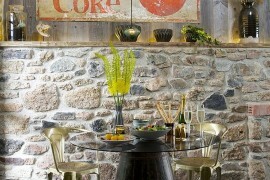 Dramatic, beautiful and timeless – there is something undeniably exciting and exotic about stone walls. 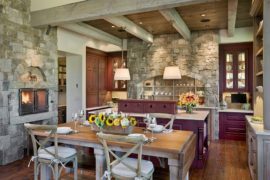 They tend to transport us back in time, and if you ever had the privilege of even visiting a relative’s home that has natural stone walls, then you will instantly relate to its unassuming organic charm. 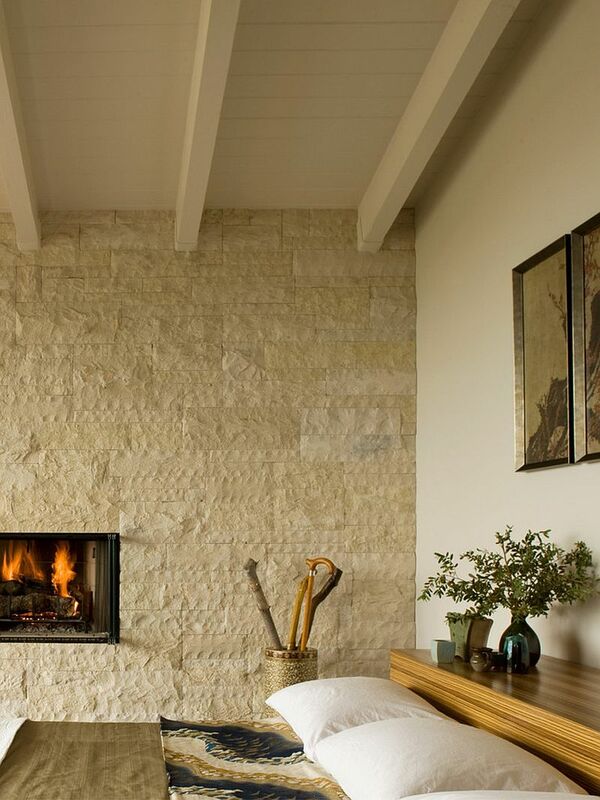 Stone walls bring simplicity to complicated spaces, add natural goodness to modern interiors and allow us to add texture and uniqueness to homes dominated by modern monotony. 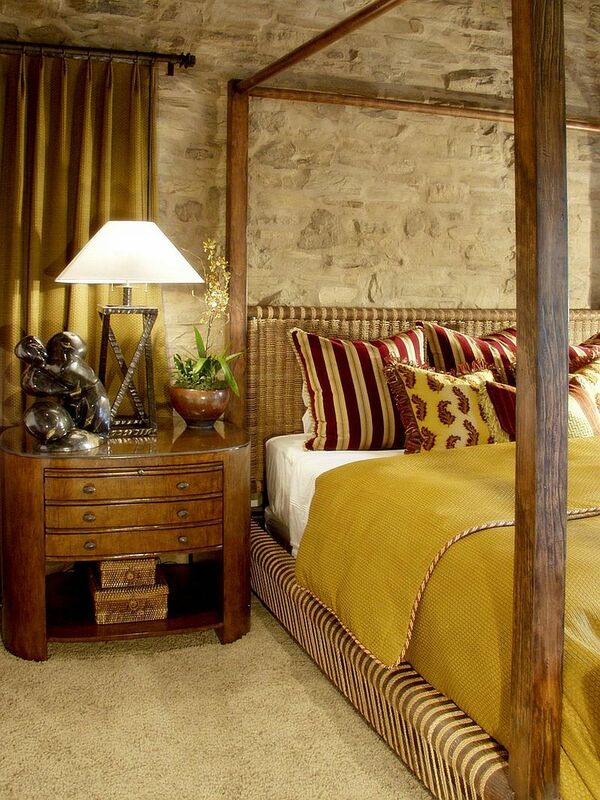 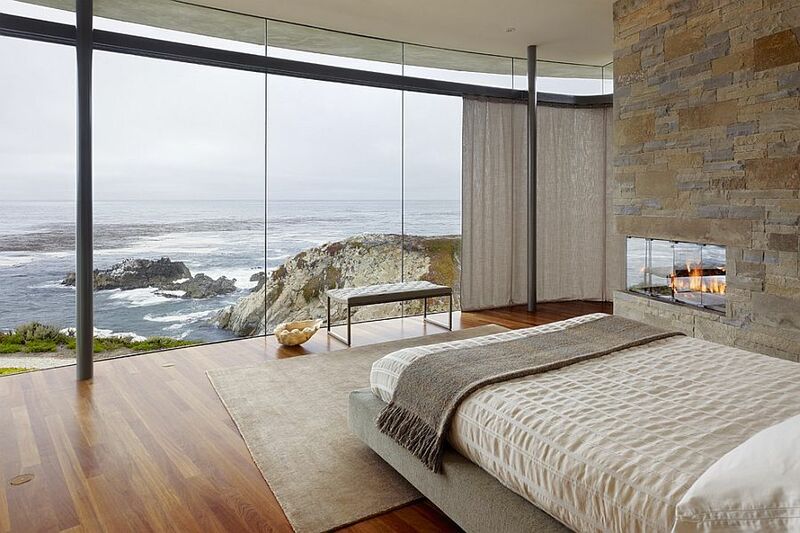 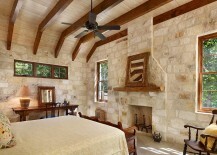 And few rooms benefit from a lovely wall or architectural feature clad in natural stone like the bedroom. 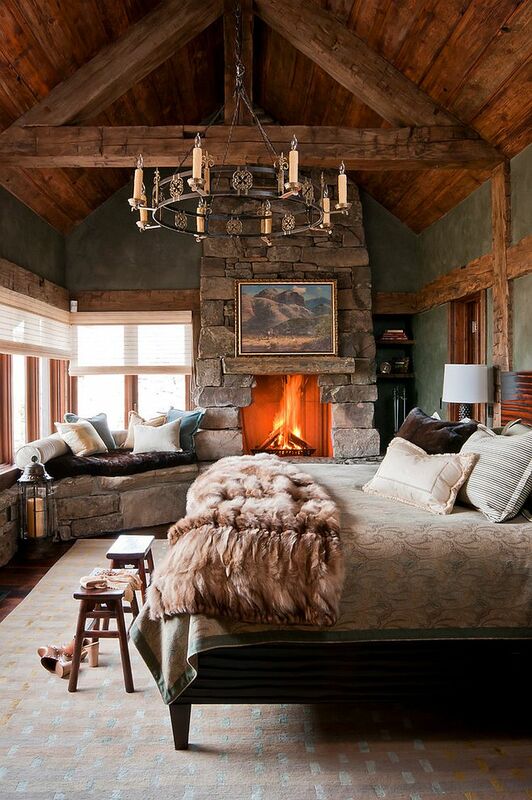 Match Made in Rustic Heaven! 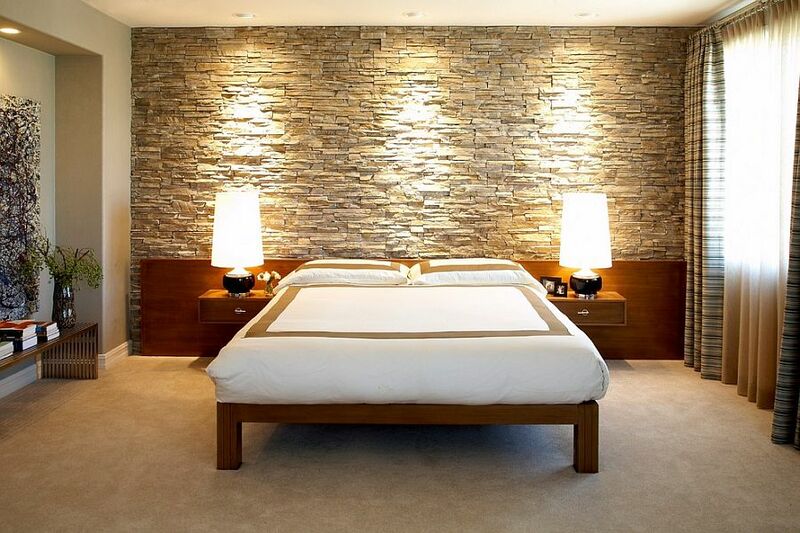 While adding stone to the bathroom will require considerable research in regards to exposure to moisture and wear and tear, bedroom stone walls are a far safer option. 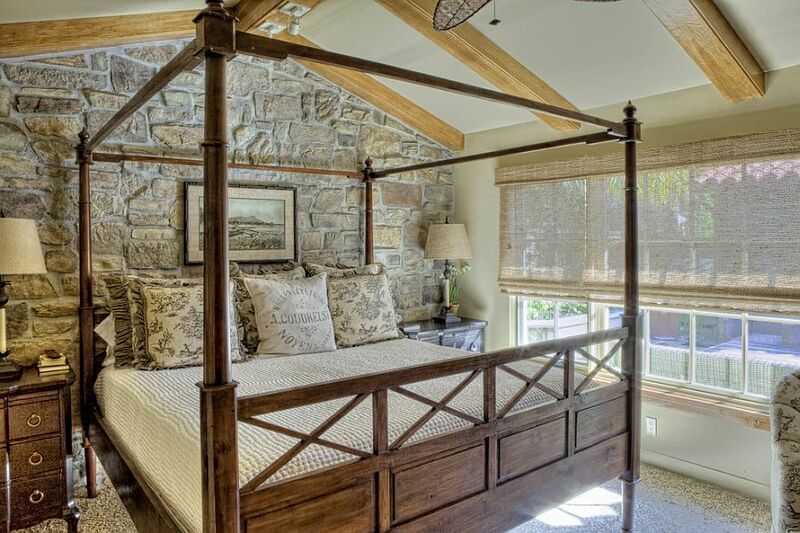 They are pretty easy to maintain, and for those looking to create a magical and inviting rustic bedroom with an air of romantic panache, the stone wall is an absolute blessing! 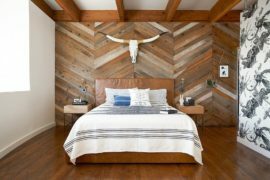 Coupled with exposed wooden ceiling beams, reclaimed timber walls, a plush rug and cozy bedding, one can bring home the magic of that exotic cabin retreat in the mountains. 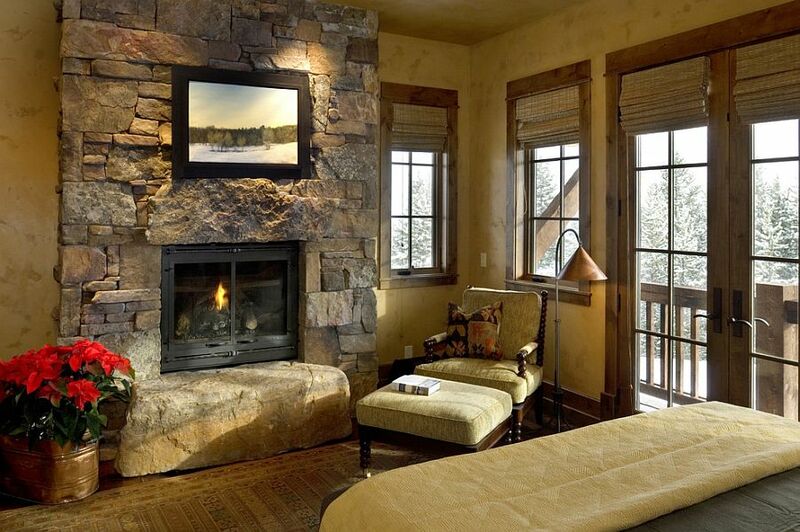 Maybe this Christmas, it is time for a staycation! 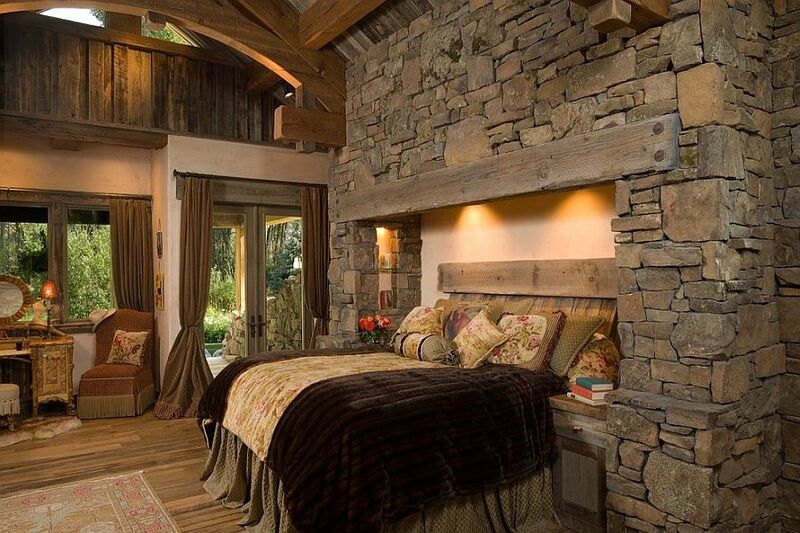 As you will see with these amazing bedrooms, most homeowners tend to prefer an accent stone wall even when opting for a full-fledged rustic style in the bedroom. 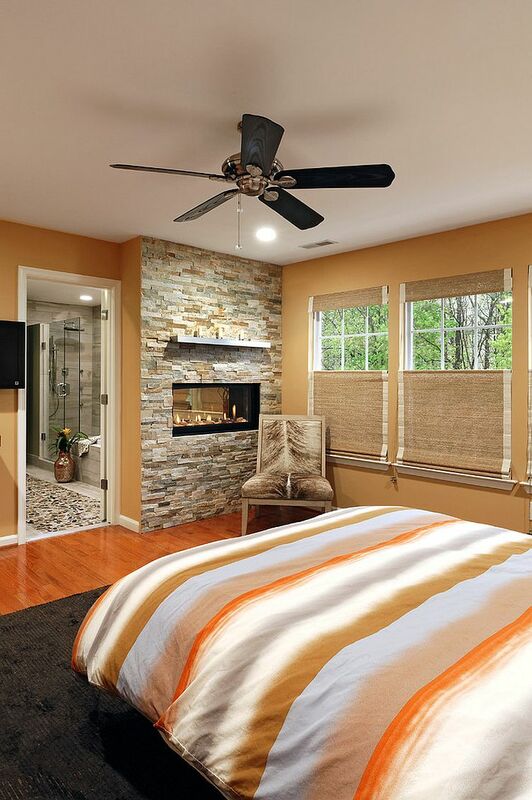 This allows you to add additional textures, gives the room a more cheerful, visually lighter appeal, and also makes the addition of the stone wall a lot easier. 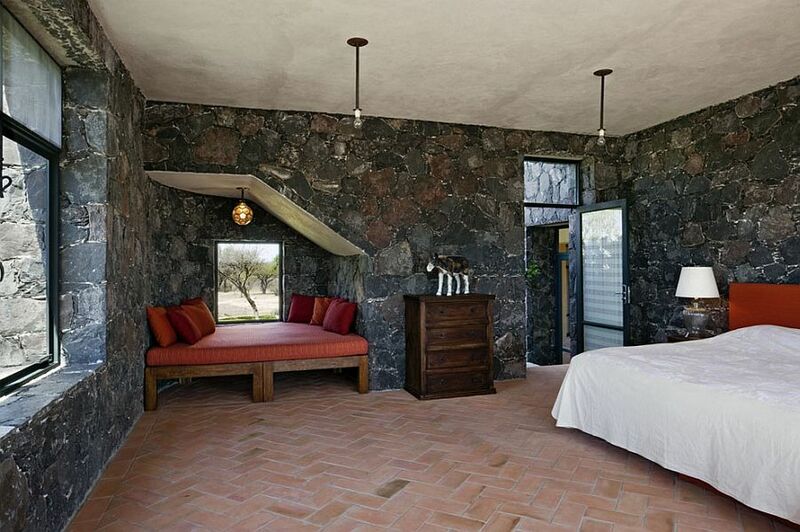 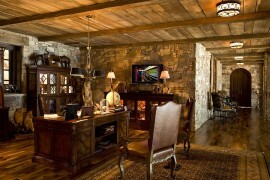 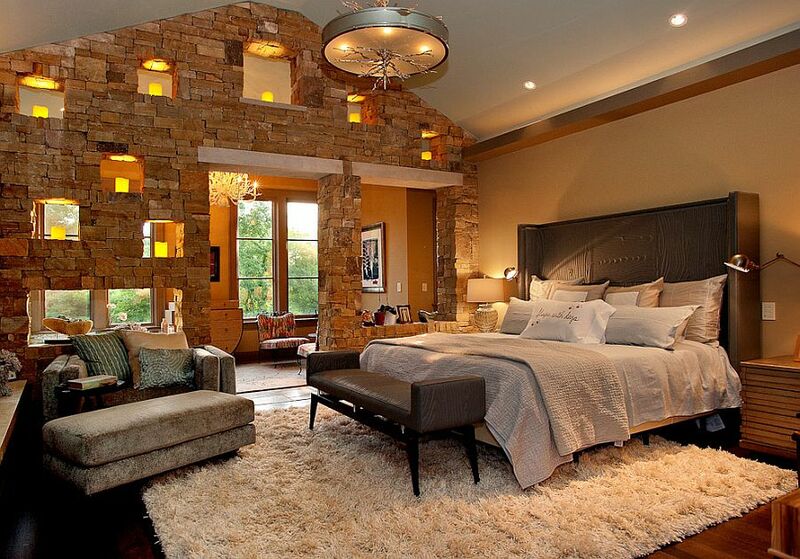 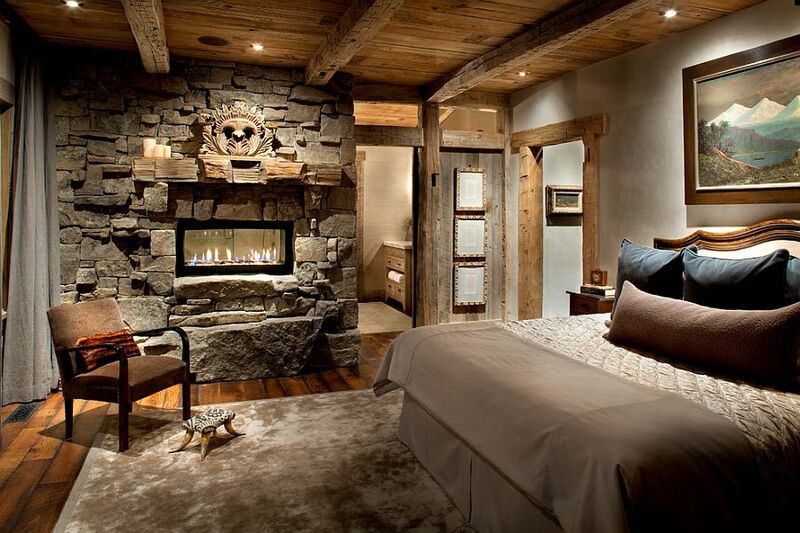 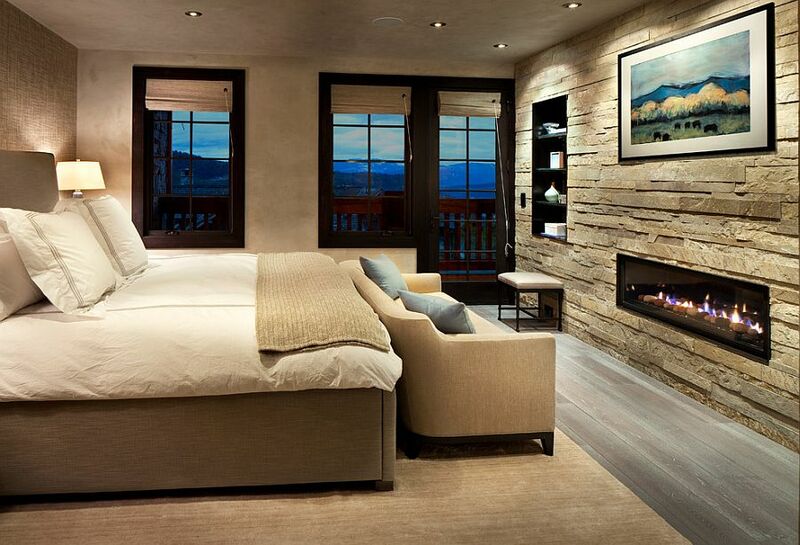 If you are not convinced about the accent stone wall, then the next set of bedrooms offers another smart alternative. 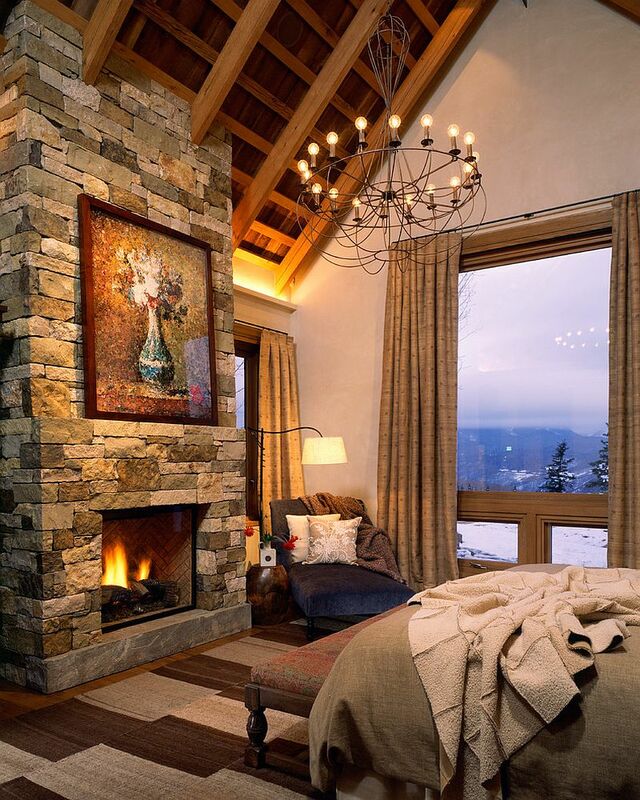 If rustic style and the stone wall is a match made in design heaven, then it is a marriage that is incomplete without a roaring fireplace to bind it all together and provide a scorching centerpiece. 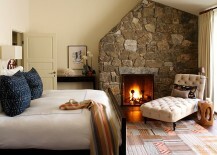 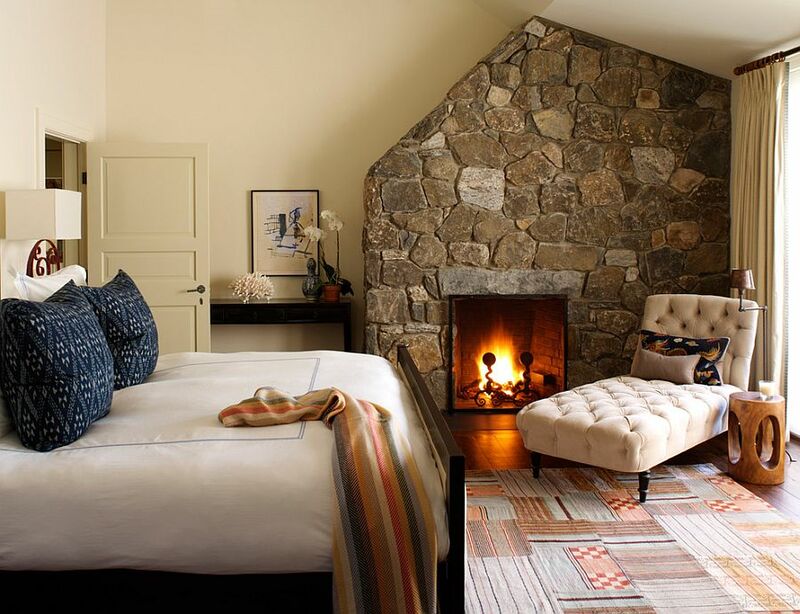 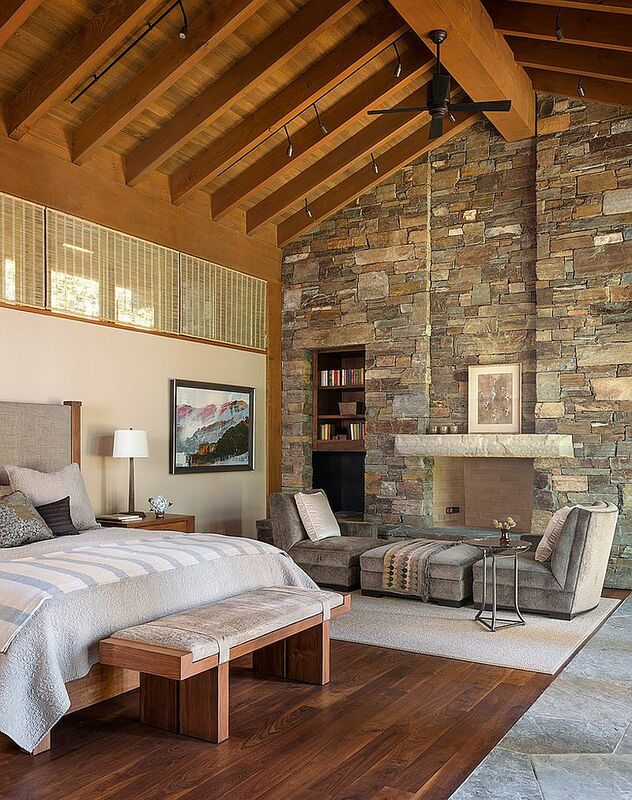 A fireplace in the bedroom obviously offers advantages that go beyond the aesthetic, and a simple stone fireplace brings the allure of stone to the room without committing to it fully. 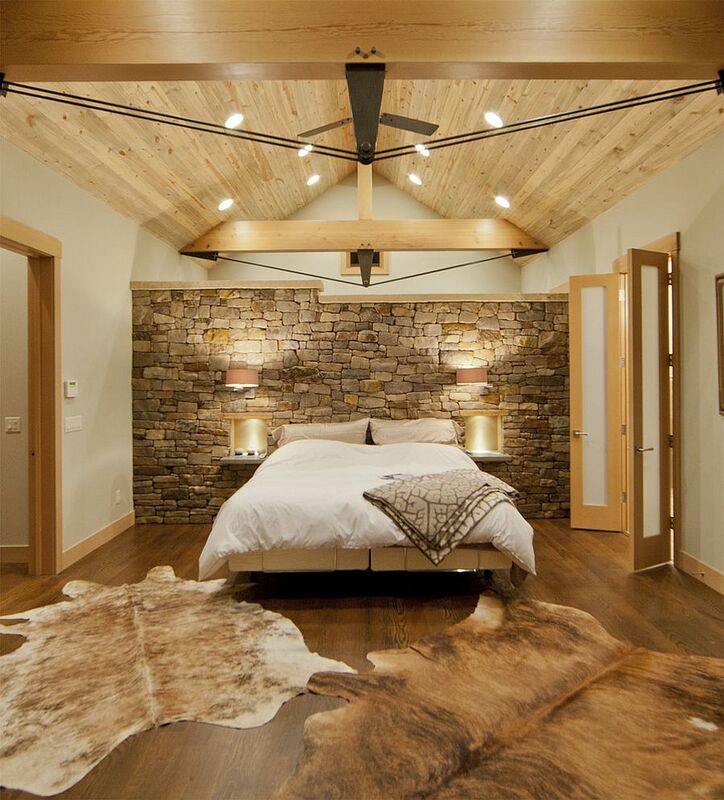 This is a smart option for those looking to add natural stone to their existing modern bedroom in a curated fashion that does not force you to completely rip out the current walls. 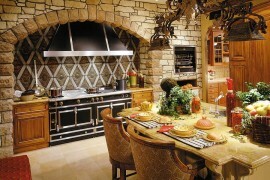 Stone works in a variety of styles that go beyond rustic, and one of our favorites in this regard is Mediterranean. 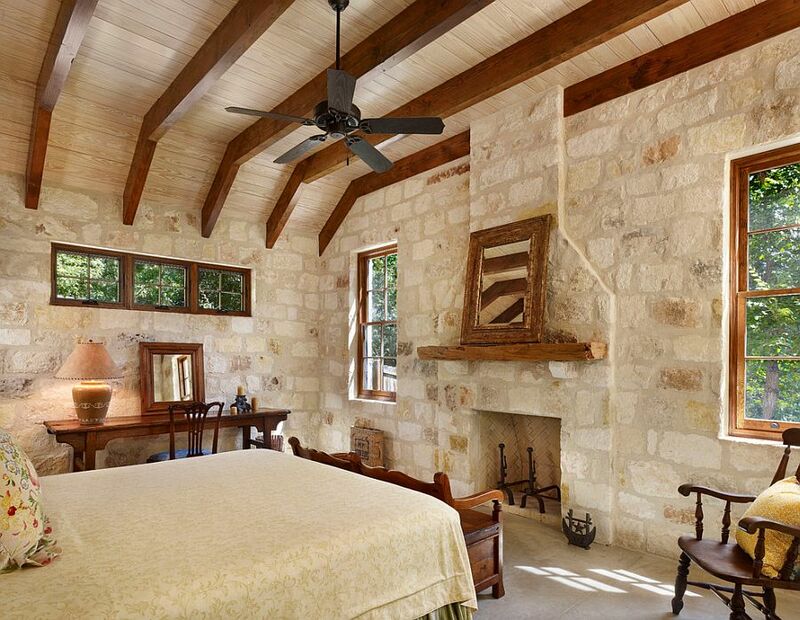 A bedroom with beautiful limestone walls and terracotta flooring immediately reminds us of the very best of Mediterranean architecture, and throw in a couple of arched windows and warm lighting, and you are pretty much done! 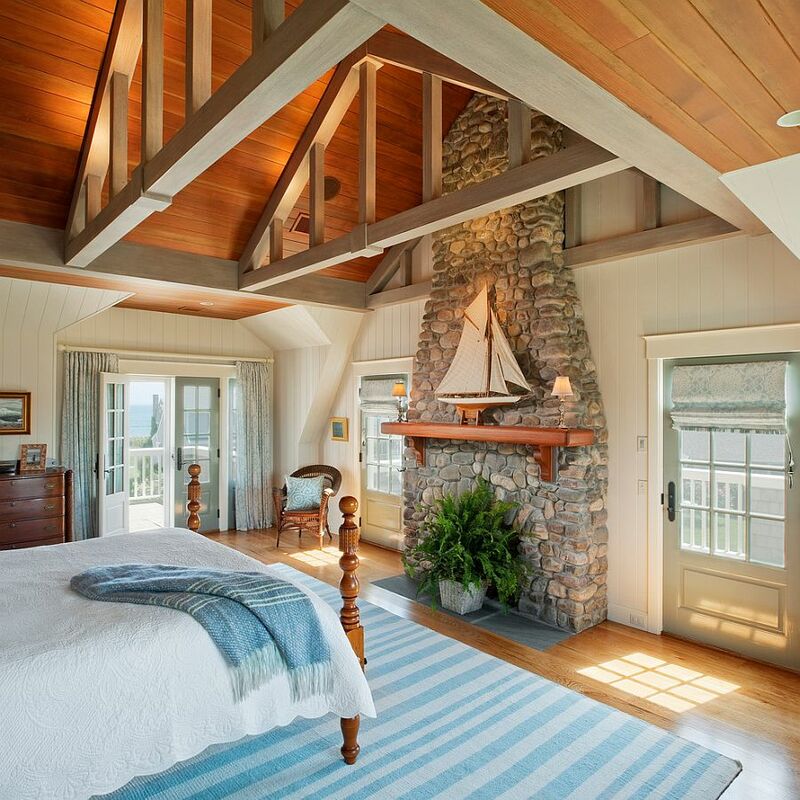 It is a style that is catching on in homes across America, with coastal homes in California and Florida increasingly attempting to recapture this inviting and inimitable ambiance. 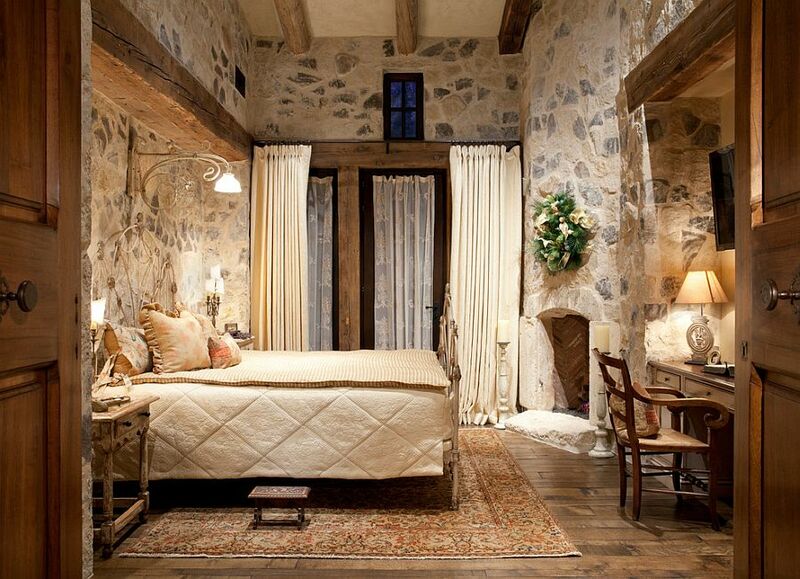 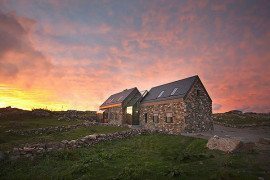 The likes of farmhouse, beach style and shabby chic also combine well with carefully crafted stone walls. 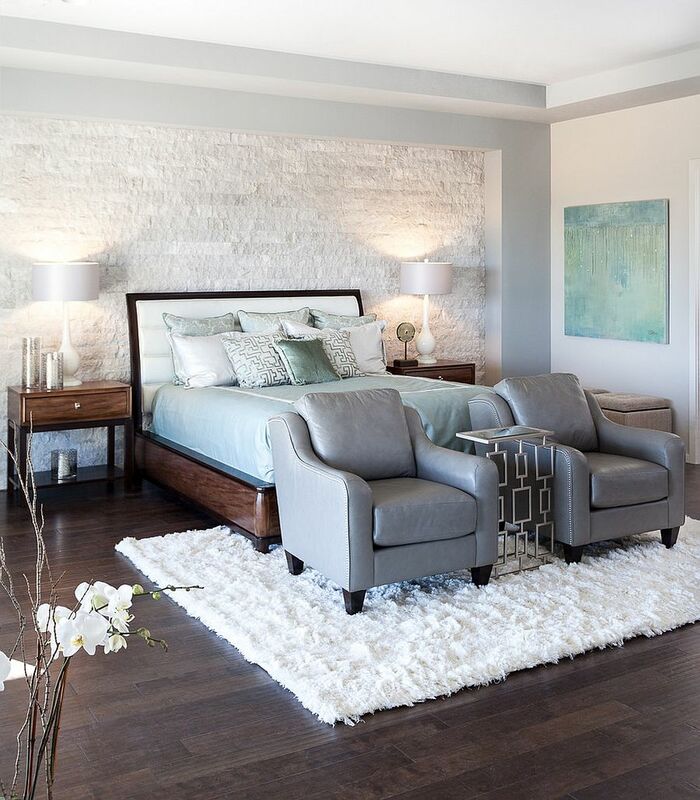 No collection of bedrooms is complete without a few modern inspirations that range from the transitional to the contemporary. 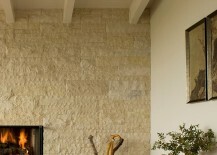 It is the stone you choose that makes a huge difference here, and the likes of split-faced marble work better in these settings. 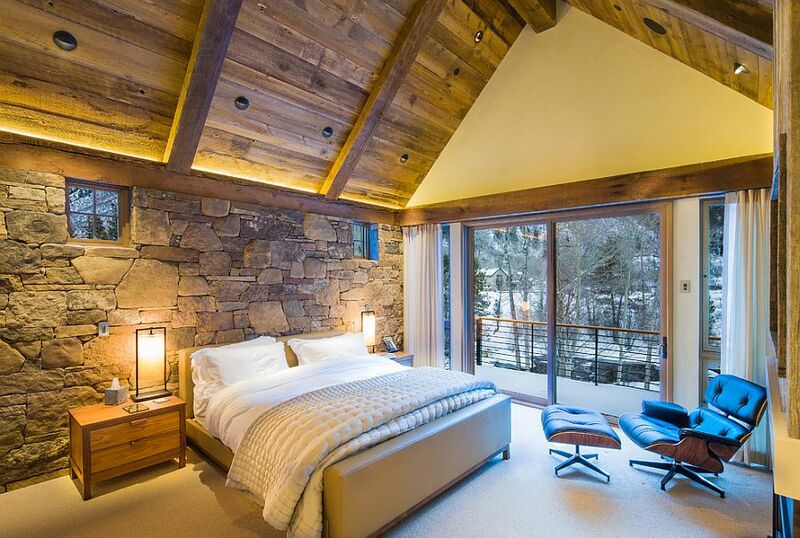 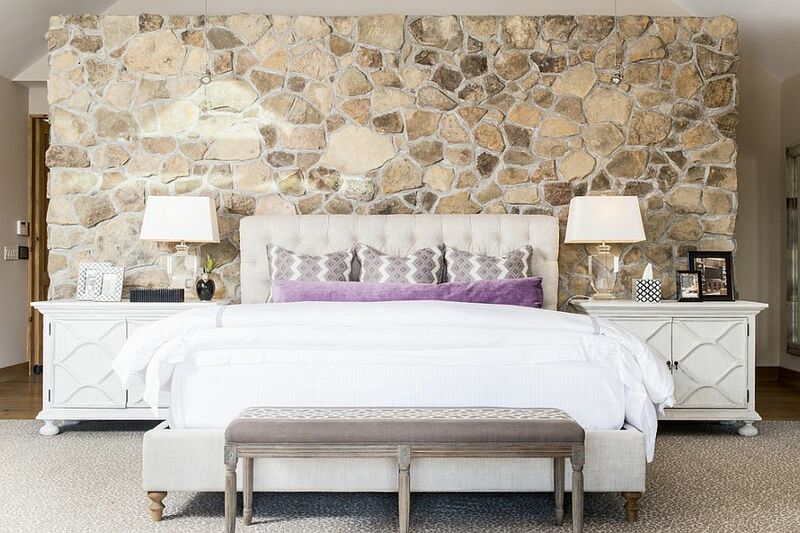 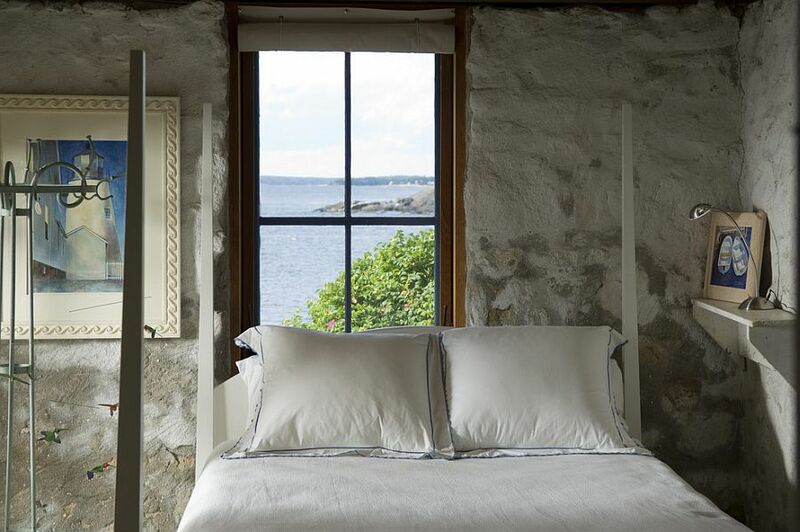 While this approach demands a stone wall that blends in with the polished, contemporary elegance, a contrasting path would be to give the sleek and refined bedroom a more rustic stone accent wall. 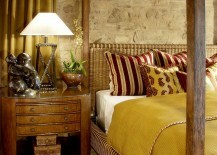 Regardless of which way you prefer, it is the rest of the bedroom that defines and determines the style here.